Contact your representatives and senators today to ask them to support the reform proposed in H5072 . As an organization committed to ending population-based euthanasia, Save One Soul Animal Rescue League believes that the practice of selling animals in a retail capacity perpetuates suffering and should be banned. While Save One Soul Animal Rescue League acknowledges that there are responsible and caring breeders, the vast majority of retail pet stores source their animals from commercial breeding operations that are inherently exploitive of the animals trapped in inhumane breeding servitude. These practices also take advantage of the people who purchase these over-priced pets, often leaving them with pets who have diseases, genetic defects and behavior problems from lack of proper care and breeding practices. Breeders who sell their animals to distributors for resale through retail outlets are required by law to be licensed and inspected by the U.S. Department of Agriculture (USDA). Federal standards of such for these facilities are notoriously lax, however, such as the requirement that a cage be only six inches larger than the animal it houses and cleaned just once a week, and enforcement is nearly non-existent. The details of these living conditions, like so many in which animals are exploited, are hidden from public view. Even the regulating body, USDA, cannot be trusted to provide this information; they recently removed all breeder licensing and inspection data from their website. It is now impossible for retailers and consumers to access any information about the facilities they obtain their animals from, including histories of animal abuse. As a society, we are examining how we obtain pets and where they come from, and we want to know that along the way, these animals are being treated as the sentient beings that they are, with inherent value and rights. As efforts have been successful to bring the inhumane conditions of pet mills to light, and people stand up to insist that animals are not commodities to be bought and sold, it is only natural capitalist democratic evolution to see these values increasingly reflected in our laws. The public is speaking out against these atrocities and demanding action, and it is the rightful role of government to step in where the market fails. Since 2006, more than 300 cities and counties have passed laws similar to H5072, with East Providence and Warwick joining this group in 2018. H5072 puts the state of RI in league with these other communities, aligning our laws with our values and the social good.to protect their basic rights, we stand up for animals and their families, and believe that we and our government, have a moral obligation to do such. Notably, RI H5072 does not prohibit individuals from purchasing an animal directly from a private breeder. A responsible and ethical breeder is committed to the improvement of the breed and proper treatment of the individual. High-volume production and sales are what is driving the pet mill business model, not animal welfare, breed integrity, nor the best interests of the consumer. Likewise, RI H5072 allows pet stores that currently sell pets from commercial breeding operations to become a valuable member of our community by shifting their model to help homeless animals find new home placements and supporting those animals in their homes. There are many successful examples of pet stores converting to this model throughout the country. We work closely with one such example in our own backyard. 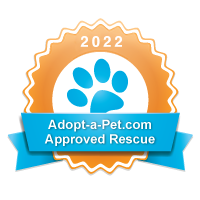 Until every animal can be guaranteed a loving home, we promote adoption as the best way to find a new animal companion. We oppose all pet mills. We prefer that people adopt a pet rather than acquire an animal from any pet breeding situation. And where the market fails to protect their basic rights, we stand up for animals and their families, and believe that we and our government, have a moral obligation to do such.